Kenya is celebrating the hard work of a secondary school teacher in Nakuru County who won the global teacher awards 2019 that was held in Dubai. 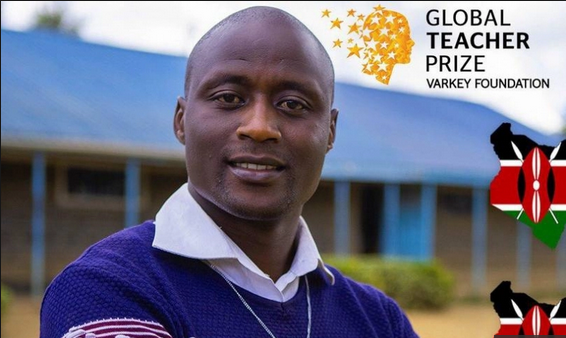 Peter Tabichi, a teacher at Keriko High School in Nakuru County emerged the overall winner of Global Teacher Prize, bagging Sh100 million (USD1 Million). According to Varkey Foundation, Global Teacher Prize awards ‘real superheroes’ who are real champions for change, inspiring millions of learners across the globe. In the recognition, Mr Tabichi is recognised for his contributions as a science teacher who gives away 80 percent of his monthly income to help the poor. “His dedication, hard work and passionate belief in his student’s talent has led his poorly-resourced school in remote rural Kenya to emerge victorious after taking on the country’s best schools in national science competitions,” global teacher prize noted. His efforts of nurturing the students in the Science Club, propelling them to national and international engineering fairs, has earned his students an award from The Royal Society of Chemistry. #FlirtyWednesday How To Make Out Like A Pro and Leave Her Breathless! !